The launch of the brand new version of BMW S1000RR gave BMW Motorrad a huge boost in its comeback to world-level racing. In addition to re-joining World Superbike with SMR Racing and a great couple of riders (2013 World Champion Tom Sykes and German manufacturer’s protégé Markus Reiterberger), BMW Motorrad has already returned to FIM Endurance World Championship since last year’s Bol d’Or. Then, the company based in Munich came back to EWC with its own factory team ERC-BMW Motorrad Endurance, formerly known as NRT48 (and even before as Völpker NRT48) and only one goal in mind: the win. BMW IN ENDURANCE – BMW Motorrad has always been focused on Endurance. The German manufacturer has already two wins at Bol d’Or to his name (1948 and 1960) and later it participated as BMW Motorrad Motorsport in 2007 and 2008, before going to World Superbike the year after. Since then, BMW returned competing in EWC occasionally, first with BMP 99 BMW Motorrad France and then by supporting teams such as Völpker NRT48, Tecmas and Penz13. In particular, BMW scored many podiums and wins with the squad owned by Rico Penzkofer. MOTIVATION RECOVERY – BMW Motorrad has decided to enter 2018/2019 FIM EWC season with an ambitious project, with basis coming from the past two years: ERC-BMW Motorrad Endurance, in fact, will mainly count on people from NRT48 Team. The German squad has competed in EWC class since 2017 Bol d’Or and since then they’ve already achieved great results. Now the team has turned into ERC (“Equipe Reinhardt Competition”) and NRT48 Team Owner Uwe Reinhardt has remained part of the project as a sponsor (Proskaro). Yvan Haberkorn will be ERC Team Manager, while Ingo Nowaczyk has become their crew chief after contributing in NRT48’s success. The operational, logistical and organizational aspects are managed by ERC, while BMW Motorrad is focused on the technical side. About riders, the main name is 2014 Endurance World Champion (with GMT94 Yamaha) and 2017 French FSBK Champion Kenny Foray, BMW Motorrad rider since 2016. 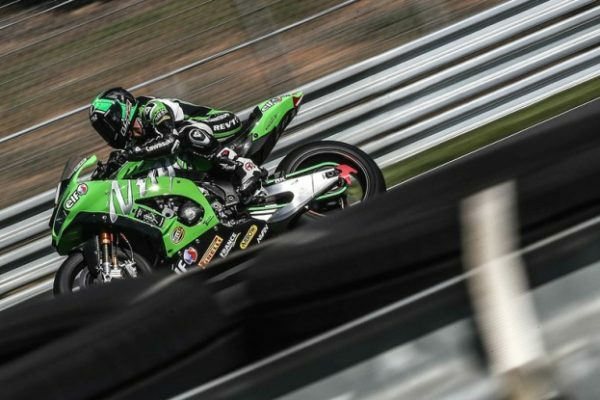 Foray will have as his team-mates Mathieu Gines (who had already represented BMW in 2016) and Julien Da Costa, who previously rode BMW S1000RR with Tecmas and, in 2018 Suzuka 8 Hours, NRT48. WAITING FOR BRAND NEW S1000RR… – Next chance will be 2019 24 Heures Motos du Mans, scheduled on 20th-21st April. There, ERC BMW Motorrad should finally line up the freshly-launched new version of S1000RR. However, no test has been carried out yet and the time left before the iconic race in Le Mans is getting shorter, so its debut may also be postponed. In any case, the goal is still the same: to take BMW back to a 24-hour race win after the three podium finishes collected at Le Mans and Bol d’Or from 2012 until today (one with BMP 99, two with Penz13) .